This building has housed many Issaquah businesses since it was constructed, replacing the earlier Coutts Building, in 1913. Cornelius Coutts returned from Alaska and purchased the Tolle Anderson Front Street business lot for $800. Coutts and his wife Eva started a dry goods store in Issaquah in a small, false front, frame building. On Monday, December 5, 1910, when he opened his new store, he advertised suits for $4.00 – $6.50 and wool overcoats at $6.00. Within two years the business had grown enough to warrant moving the little frame building to make way for a two story brick structure. The first story was used as the clothing store, and the second story was rented out for living quarters. The initial cost was $10,000. management changed once again and it became Tony’s and Johnny’s Corner Market. After 1947, various businesses occupied the lower floor, while the upstairs continued to serve as apartments, although at intervals professional offices were on the second floor. Mrs. Eva Coutts was still living in the upstairs apartments in 1963. In 1972 the Redmoor Corporation bought and restored the Coutts building. 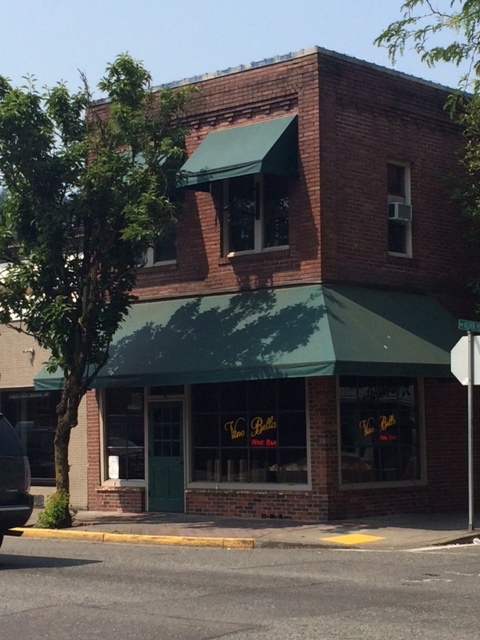 The Coutts building is a two story, brick structure 20′ wide along Front Street and 120′ deep along Alder. The building takes advantage of its prominent downtown corner location. This is a modem commercial building in both structure and style. The basic structure – a concrete foundation and masonry piers – allows for a modem glassy comer storefront for display and sales. This proportion and refined brickwork detailing of this structure combine to make this building the strongest example of commercial architecture still extant in lssaquah’s downtown. The building’s form expresses its function: a glass commercial storefront for sales activity on the first floor along the primary street front and residential scaled windows on the second floor for the apartments (now offices). The first floor is constructed of continuous brickwork in a stretcher bond pattern. The second floor structure has brick piers, flush to the first floor, which are infilled with recessed panels of brickwork in a common bond pattern; decorative stepped courses and corbel trim the top. Above these are a plain entablature of five courses and a plain recessed parapet; the roof is flat. Six bays of recessed brick run the 120′ length of the north elevation. Some replaced brickwork closely matches the original at the storefront along the sidewalk at the east elevation. storefront opening. the building has two pairs of tall 3-lite windows on the east facade and six pairs of 3-Iite windows along the north; the middle pane of each window is an awning type. No windows in this building are original. Canvas awnings have been installed over the storefront and above each of two second story window pairs along Front Street. The building is in good condition and is a major contributor to the scale and quality of the streetscape along the main downtown street.